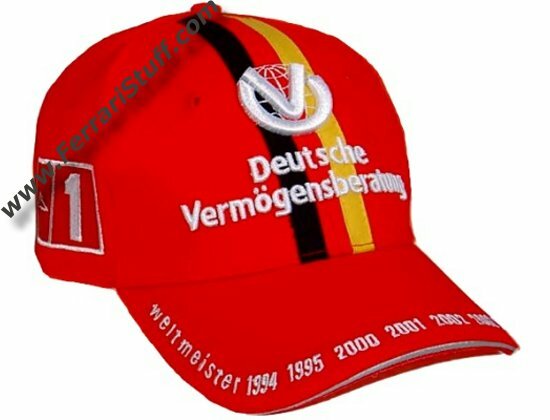 Michael Schumacher 2007 DVAG Sponsor Cap. This cap celebrates Michael's career in Formula 1 and his 7 world titles. 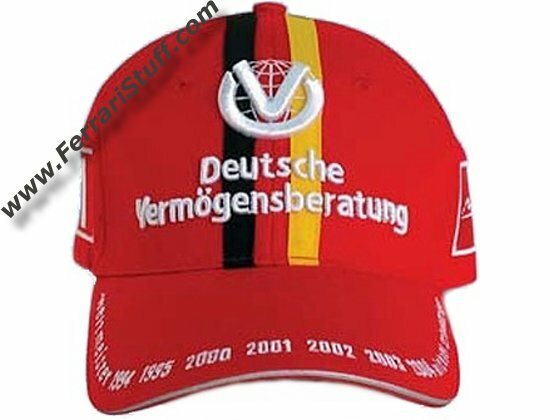 The front features the by-now familiar 3D DVAG logo (Michael's personal sponsor) but this time on a background in German flag colors. The sides feature the Michael Schumacher Speedline logo along the starting number 1. The back shows Michael's embroidered signature and the text "FINAL EDITION" on the adjustment strap. This is of course official Michael Schumacher and Ferrari Merchandise.